Angus and I snuck away to go glamour camping, a.k.a glamping at el Capitan Canyon in the Santa Barbara foothills. Glamping means enjoying the wonders of nature from your own private creekside glen without having to pitch your tent, scavenge for wood or wonder what was THAT? every time you hear a noise. 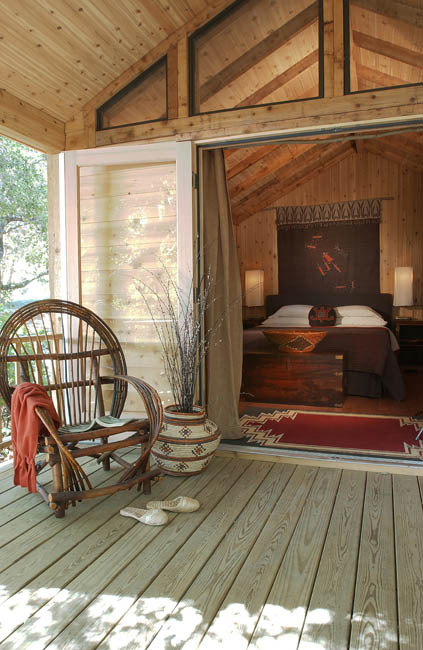 Aren’t the cabins beautiful? We had a king-sized bed, fireplace, soaking tub, kitchenette, and a wide porch perfect for reading. Glamping, my friends, is utter relaxation. Hershey bars, graham crackers and marshmallows for lots of you-know-what! 1 bottle of olive oil and my dependable Mario Batali pepper mill. Mine is the design prototype from my days with the man himself and has served me well for 8 years now. I highly recommend them. 1 chef’s knife, 1 pair tongs, 1 fish spatula, 1 regular spatula and two tenugui cloths for napkins. 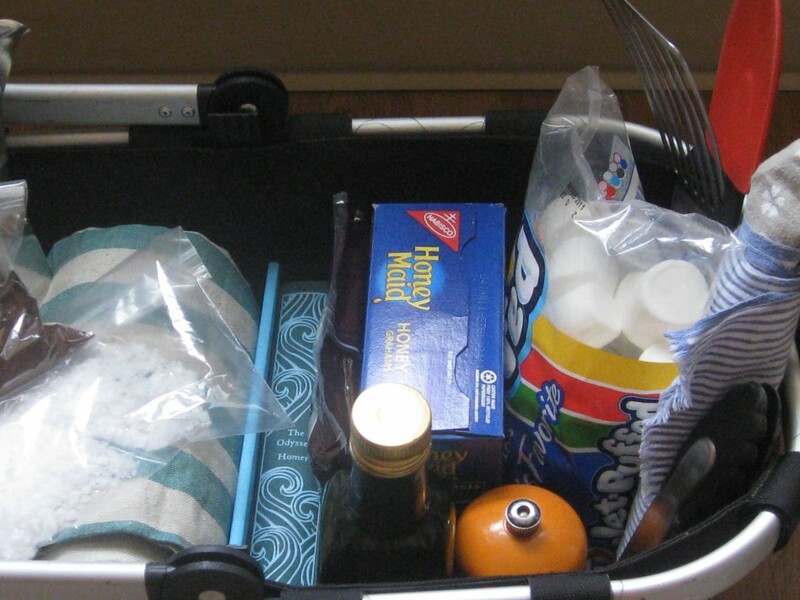 My carryall is a Reisenthal collapsible market tote which Lydia and I use every single day for carting groceries to our clients’ homes. They’re also amazing for road trips and days at the beach. Next time I’ll bring a cutting board as well. The first night we had delicious charred corn with grilled salmon and asparagus. 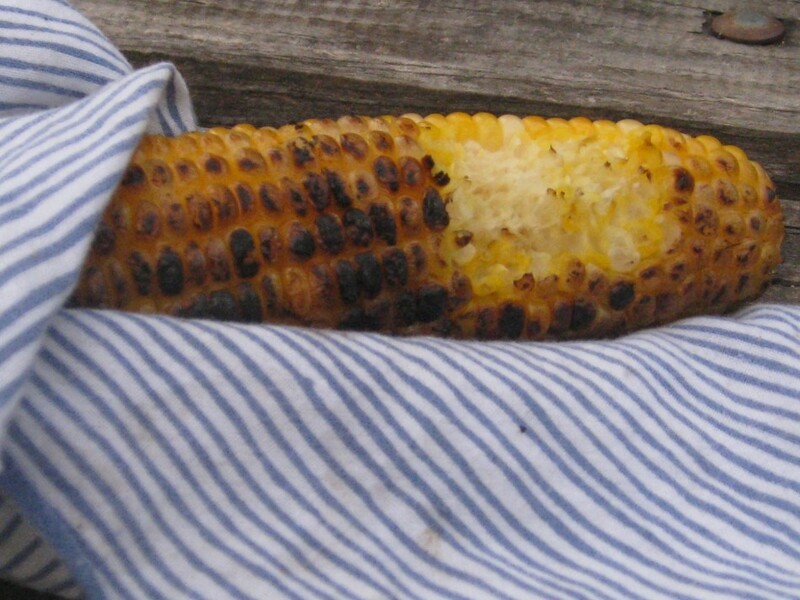 Simply drizzle the corn with olive oil, add salt and pepper and place directly on the grill until the kernels blacken, turning occasionally for even cooking, about 3-5 minutes depending on the heat of your fire. Our second night was really special. 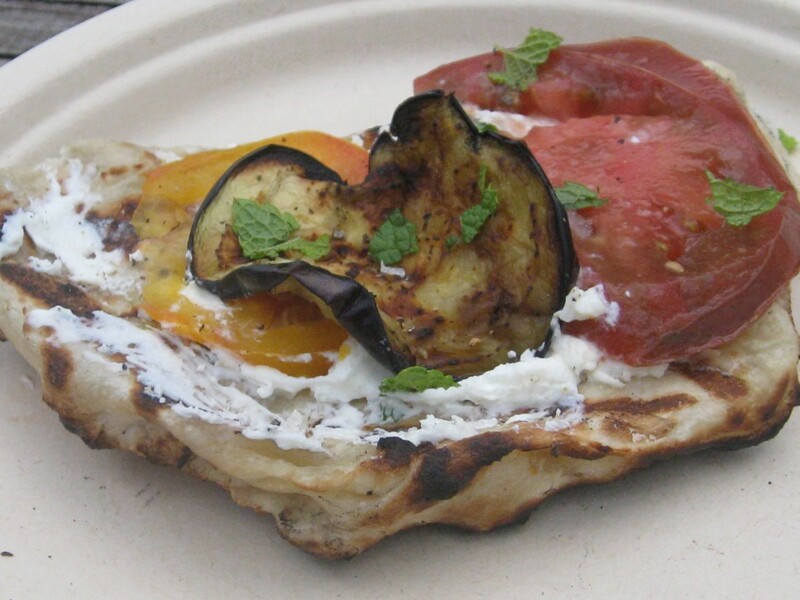 We grilled store-bought pizza dough and and topped it with a smear of goat cheese, grilled eggplant slices and heirloom tomatoes. To grill the eggplant, we followed the same steps for the corn but left it on the grill for about 8 minutes per side until it was charred and soft and smoky. We didn’t have a rolling pin and my olive oil bottle is square (a round one works in a pinch) so we simply ripped hunks of dough from the ball and stretched it by hand into mini rounds. We daubed the dough with olive oil, sprinkled it with sea salt and laid it flat on the hot grill. Grill until the first side is marked, about 1 minute, then flip and place your toppings on the cooked side. Continue grilling until the second side is marked and your cheese melts, about 1 minute more. We tore fresh mint leaves to cut through the smoky richness of the eggplant and goat cheese and ate standing up, anxious to get our next mini going as quickly as possible. Doesn’t a burning fire make everything taste better? Note: grilled pizza is best when followed by lots of s’mores. Looks amazing. And YAY Intelligentsia espresso! This post makes me so happy! I love everything about it and want to rush out to buy some of the staples I don’t already own. Fun, fun! Love your copy of the Odyssey tucked in next to the ‘smores fixins. What a perfect escape. So glad you shared photos! Thanks ladies! It really is a fun trip to take. @Halie–The Odyssey turned out to be a good pick. Something special about reading an ancient story while waiting for the first stars to show. @Nessie–a tent on an isolated beach in NZ does sound like paradise. It must be so gorgeous there! 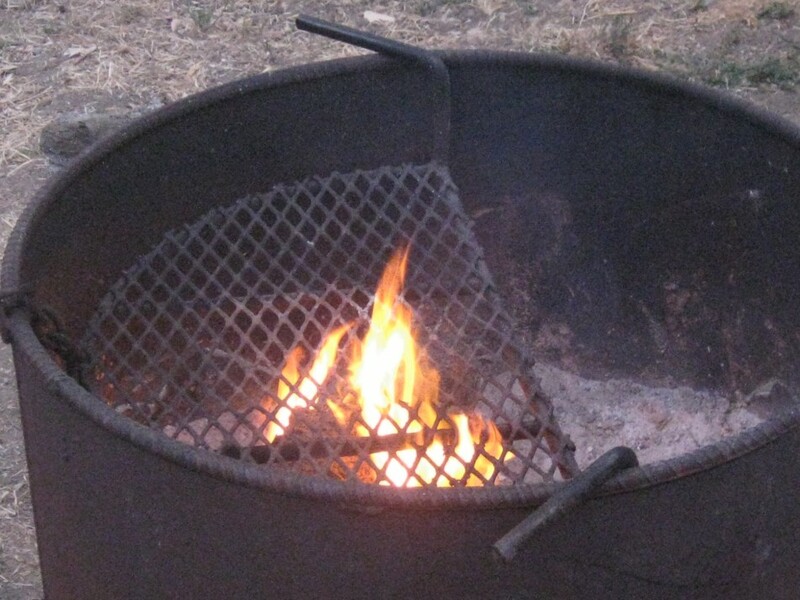 What do you cook when you camp?